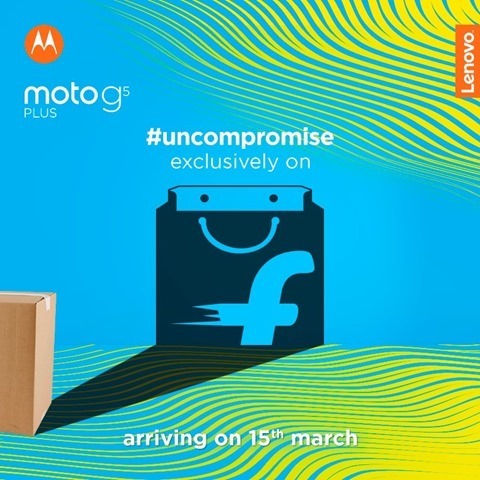 Motorola and Flipkart have officially announced, that the Moto G5 Plus will be sold exclusively via the online retailer's store in India. The phone was only launched a few weeks ago, at the MWC 2017 tech show. For those of you who missed the launch, here is a reminder of the device's hardware. There is no word yet on the pricing of the device. We expect the lower end variants with 2GB and 3GB of RAM, to be priced around Rs. 15,000 and Rs. 19,700 respectively. The higher end variant with 4GB of RAM, and double the storage, i.e., 64GB will naturally be priced slightly higher. The Moto G5 Plus will be sold from March 15th in India. Moto G5 Plus to be sold exclusively via Flipkart in India, from March 15th.